Initially, I never wanted to respond to the said story rapidly spreading around like a spirit especially on the social media(as usual) until I was challenged by the as a patriotic Ooduan from Ife by the intervention of another tested & trusted patriotic Ooduan from Ekiti in the person of my senior comrade Adewale Adeoye who has really shown the writers/promoters of the dangerous lies where they truly belong in the house of Oduduwa(bi ile ba n toro, omo ale ibe ko tii da’gba ni). In Ile-Ife, SARUN chieftancy remains a very enviable position being the no.1 confidant of OONI as the king’s traditional ADC from the era of ODUDUWA till date. However, it is imperative to know that at no time in the history of Ife’s agelong royalty was a SARUN or any other chief buried along with an OONI. Am also not aware of such a practice anywhere in Oodua land except our revered OYO KINGDOM where an OLOKUNESIN had to be buried with an ALAAFIN and of course that has been aborted by the colonial government very many years ago. After the demise of Ooni Adesoji Aderemi in 1980, his “abobaku” Saarun Arasanmi was never buried with his master but rather upgraded to LOODOKO of Ife by the new Oba Okunade Sijuwade who latter appointed his own Saarun in the person of chief Ganiyu Oyebanji. 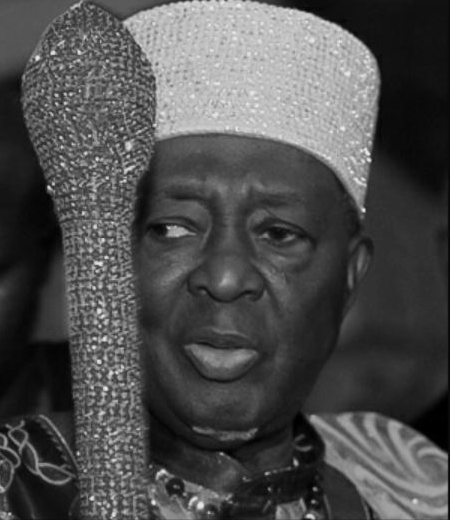 At an older age, Saarun Oyebanji was upgraded by Oba Sijuade who made him the AGURO of Ife and later JAARAN which is 3rd on the hierarchy of MODEWA kingmakers(osi Ife) until he died in sometime in 2001. The present Jaaran, High Chief Adekola Adeyeye took over as Saarun around 2002 and served for 11yrs till year 2013 when he too handed over to the present Saarun Awoyode Oyelami who was the Oonirisa’s closest traditional aid until recently when THE ELEPHANT fell. The so called “abobaku” Saarun Awoyode Oyelami is very much alive in Ile-Ife always with High Chief Lowa and other kingmakers who are about to begin the rites for the selection of the next Oonirisa who has the prerogative to either retain him as his Saarun or otherwise. I hereby describe the story of “ABOBAKU RUNS AWAY” as untrue, malicious and reckless calculated efforts towards the unwarranted desecration of the sacred throne of Oduduwa by those who could only be regarded as OMO ALE who would always point to or desribe their father’s house with left hands(forbidden). And as I severally asked in my refutal against a similar anti-Ooni fabrication of lies about two weeks ago which I titled “OORE OF OTUN TO ANNOUNCE THE DEMISE OF OONI, A DANGEROUS ABSURDITY OF THE HIGHEST ORDER”. Where did writer get his story from”? “did he just decide to cause confusion of tradition”? “did he just want to be seen as a good writer with a round of applause from d people like him”? “did he consult Ooni’s palace in Ile-Ife? or he just took it as a way of relaxing at the corner of his room after eating AMALA & GBEGIRI or EBA & EGUSI soup of his wife”? It is again very disheartening to see someone or people who are supposed to inform and educate the uninformed public display abysmal level of ignorance informed by their laziness & unwillingness to do a thorough research into any issue they may choose to discuss. The sacred throne of OONI is the highest Oduduwa Royal sit globally and should not be undermined by those that only want to seek cheap publicity through pages of social media. 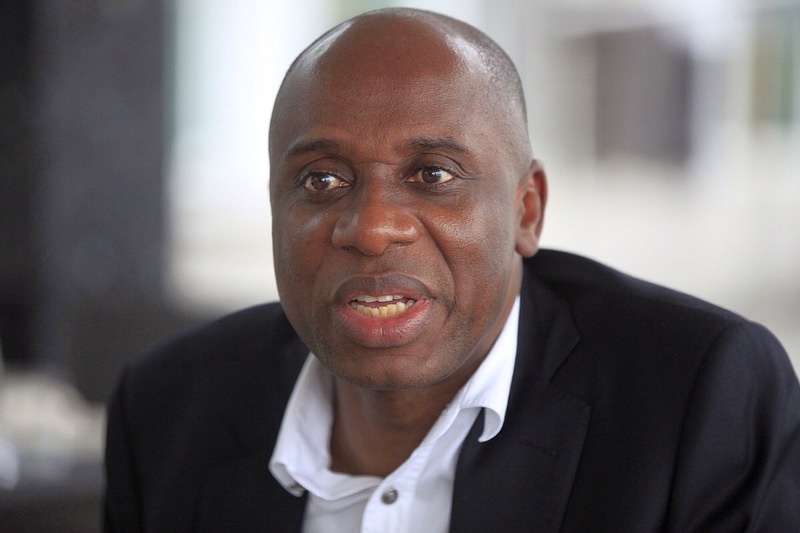 About a fortnight ago former Rivers State Governor, Rotimi Amaechi, was quoted to have stated that Nigerians should stone the political elite for taking us for granted and for the unbridled looting of our commonwealth. That time is fast approaching. Amaechi knows what he is saying. He is part and parcel of the stealing elite. Gov. Amosun’s sacking of workers for setting what he termed ‘offensive’ examination question is just too daring. His action confirmed Amaechi’s statement. They take us for granted. The audacity of the so-called Peace Committee that boldly told President Buhari not to probe Ex-President Jonathan’s administration is anti-people. They are all thieves. Gov. Amosun’s haemorrhaging action and the diarrheic statement of the kleptomanic Peace Committee are pointers to the need to start pilling the ‘Amaechi Stone’. These actions deserve the ‘stone’ treatment. Amaech’s stoning antidote seems not far away. Go gather your stone, the stoning revolution is nigh! 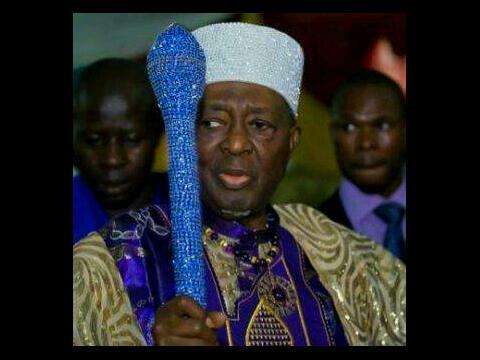 The demise of Ooni of Ife, His Imperial Majesty Oba Okunade Sijuade (Olubuse II), has birthed various tales. The recent one being that ‘Abobaku’ (a personage required to die with the King) ran away to avoid fulfilling his traditional obligation of dying with the departed King. The truth is that the Abobaku tradition died long ago in Ile-Ife traditional cosmology. The tradition was also in vogue in the Old Oyo Empire. Whoever started the ‘Abobaku’ story on the media is either ignorant of Ile-Ife tradition or was deliberately mischievous. The Abobaku tradition belonged in the past; it was a tradition discarded long ago. Most unfortunate is that indigenes of the Cradle (as Ile-Ife is called) and who should know better helped in furthering the tales. These people too don’t know their History. I put a call to an Ile-Ife traditional chief this morning on the issue, and he too confirmed that the circulating story was not true. Abobaku did not run away. Abobaku belonged in the past. Abobaku does not exist. Abobaku story is a mere tale.